MYRTLE BEACH, S.C. – It’s almost mind-boggling when you think about it. A three-month visitor to this long-time golf hotbed could play a different course every day and would still not have played all the layouts offered. Myrtle Beach, which aptly bills itself as the “Golf Capital of the World,’’ has over 100 courses packed into the 60-mile stretch of coastline known as the Grand Strand. They’re not a bunch of cookie-cutters, either. That became quite clear on my second visit to the area, which unfortunately fell a full eight years after the first. 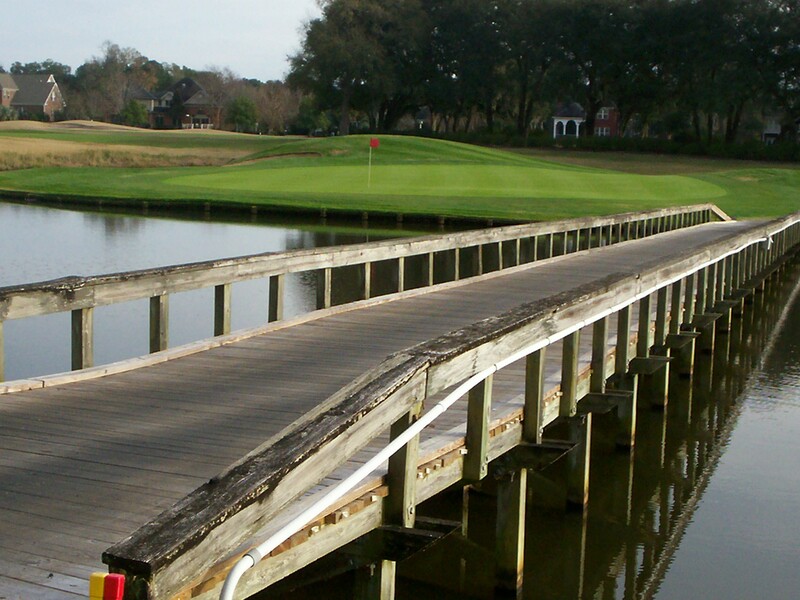 The home base on Murrells Inlet wasn’t far from the one a Pawley’s Island years ago, and one of the courses – the Caledonia Golf & Fish Club – was a must replay. It seems that all my golfing friends who have visited Myrtle Beach at one time or another love Caledonia. 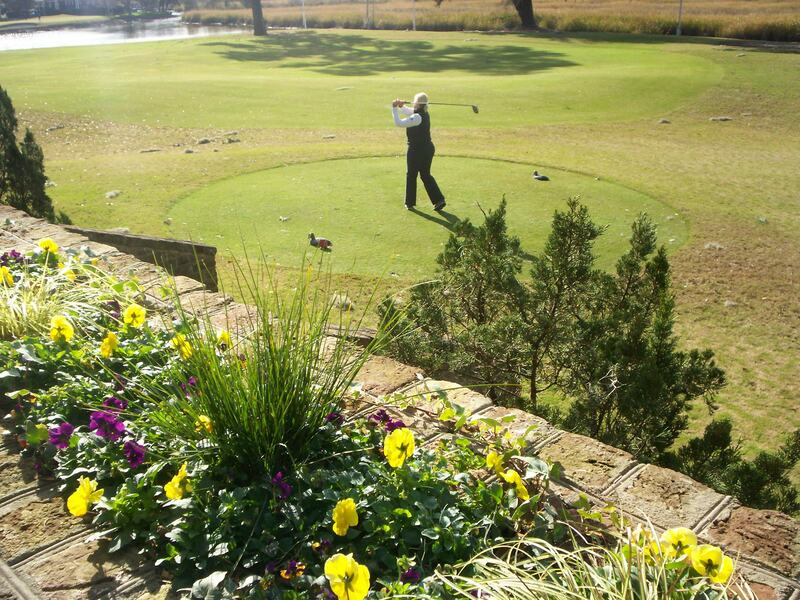 The shrimp bisque soup, offered between nines as well as in the clubhouse, and the bright flowering on most of the tee boxes (shown above) are just some of the reasons. Good friend Reid Hanley, the late golf writer for the Chicago Tribune who played widely around the country, always called Caledonia “a very special place,’’ and I have to agree. Rarely do I play any course a second time and like it as much as I did the first, but Caledonia fit that bill – even with the second time around coming on a windy December day with temperatures in the 40s. Mike Strantz was the designer for this relatively short (6,526 yards if you play from the tips) layout, which was built on a one-time rice plantation in 1994. Unfortunately Strantz did his work largely in the South. He’s quite good. Caledonia’s companion course, True Blue, was also one of his designs. That one opened four years after Caledonia. Lot of people already know about Caledonia, of course. They might not know about the Founder Club at Pawley’s Island. It’s only been in operation since 2008, after a massive renovation directed by Thomas Walker, former lead designer for Gary Player’s architectural efforts. Walker started with a much more basic course that had been called Sea Gull Golf Club. The extensive renovation included the clubhouse, and the finished product is commendable. I’ve never played a course quite like the Founders Club. There’s no cart paths on this layout. Instead you drive through waste hazards when a fairway isn’t available and the bunkering (an example is shown below at the No. 18 green) is striking. You also cross roads that can have car traffic 14 times. All of that makes for a most refreshing way to play golf, and the greens are unusual, too. They’re grassed with Emerald Bermuda, which almost has the feel of an artificial surface. 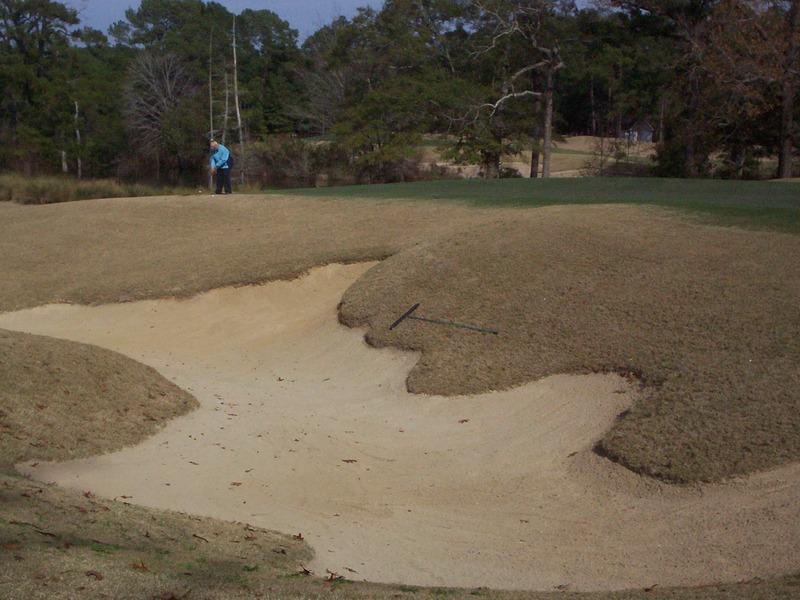 Capturing what’s new in golf is a high priority, and our final round of this Myrtle Beach visit was at Willbrook Plantation, still another course that was much different than the other two. Willbrook, a Dan Maples design that has been named on Golf For Women’s Top 100 list, is part of a gated community with a most upscale atmosphere. Unfortunately, our visit was hampered by rainy weather and limited to a cart tour of the premises, but it was revealing. Especially noteworthy was No. 6, a strikingly beautiful par-3 over water (shown below). Like Caledonia, Willbrook was built on what had been a rice plantation. Unlike Caledonia, the land’s history is underscored with commemorative plaques all around the course. As for lodging, we wanted something new and different – and the two-year old Inlet Sports Lodge fit the bill perfectly. The local investment group that owns Caledonia and True Blue also owns Inlet Sports Lodge, which is a base for outdoor sports enthusiasts as well as golfers. Rooms included custom-etched mahogany doors with key fobs, heart of pine wood floors, salad bowl-like sinks sitting on granite counter tops, bathrobes and pressured shower jets with five different heads. Adjoining the Lodge was Bliss, an excellent upscale chef-driven restaurant that provided a nice alternative to the more traditional dining spots in the area. The traditional ones – we liked 20-year old Russell’s Seafood Grill and Drunken Jacks, clearly a favorite of the locals – were plenty good, too. They offered the cuisine that has helped bring tons of visitors back to this golf mecca.